A newly created investment company that plans to trade in rare bottles of Scotch whisky has hired Cicero Consulting to support its UK launch. The Whisky Trading Company, which was founded late last year, is the brainchild of whisky expert David Robertson, who created and sold the world’s first £100,000 bottle in 2010. 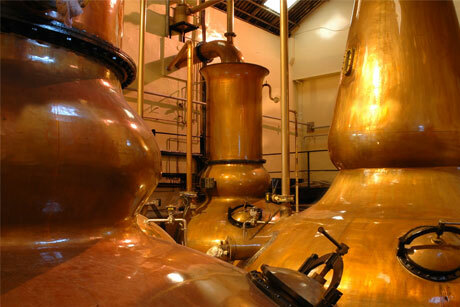 The venture aims to provide investors with double-digit returns through the trade of premium bottles of Scotch whisky. Cicero director Iain Anderson commented: ‘People often say finance is boring, but when you think more widely about some of the asset classes out there such as whisky it shines the industry in a whole new light. Cicero will lead PR around the company’s public launch in the UK and on an ongoing basis. The account will be led by Cicero’s head of corporate comms, Mike Robb, reporting to Robertson. The most valuable bottle of whisky ever sold at UK retail was 64-year-old The Dalmore Trinitas, which fetched £120,000 in Harrods back in 2010. Robertson worked at The Dalmore at the time and has also worked at Whyte & Mackay in his 25-year career in the whisky business. Figures from the Scotch Whisky Association show that in 2011 the Scotch whisky industry was valued at £4.2bn in exports and employs more than 10,000 people in Scotland. The most valuable bottle ever sold globally was a 62-year-old The Dalmore Sinclair, which was sold at Changi Airport, Singapore, for £135,000 in 2011.